GARDA management are drafting emergency plans to deploy hundreds of uniformed gardaí to the Border in the event of a no-deal Brexit on March 29. However, it’s feared the plan could have an impact on the number of gardaí on the beat across the country. Gardaí will work alongside 400 new customs staff, who will be in place on Brexit day as part of no-deal preparations. It comes as a Fianna Fáil-backed bill that seeks to boycott goods from the Occupied Palestinian Territories could jeopardise US investment in Ireland. It has been claimed the proposed law could create serious difficulties for US multinationals, perhaps even prompting some to leave. Meanwhile, brinkmanship over the threat of a no deal was ramped up yesterday with EU chief Brexit negotiator Michel Barnier warning British MPs that efforts to delay or thwart Brexit will not stop a no-deal from happening. The message from Brussels was a welcome reprieve for the Government following a lacklustre response from ministers to speculation over a hard Border in the event of a no-deal. Downing Street said it recognises the need to take forward bilateral discussions on how to avoid a hard Border under a no-deal, but the Government has insisted further discussions will take place through the EU and the Brexit taskforce. 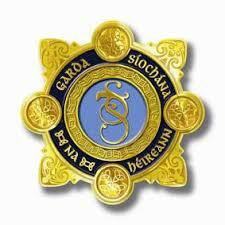 Garda HQ is expected to issue a directive next week seeking volunteers across five of the country’s six Garda regions who will then be seconded to the Border on tours of duty of between six and 12 months’ duration. The extra gardaí will bolster the number of officers already stationed in the Border region which has seen a steady decline in personnel over the past decade. It is understood that extra customs officers will also be sent to the Border to work alongside gardaí. However, if the requisite number of volunteers are not forthcoming, senior officers will be instructed to mandate individual officers for Border duty, something that is likely to cause friction between management and the representative bodies. As part of the plan, which some sources are describing as “a worst case scenario” or “doomsday plan”, recruits currently in training in Templemore will also be sent to the Border to make up the numbers over the coming months. It is also understood that military chiefs are drafting plans for the deployment of extra troops to the Border region in support of gardaí. The Garda Commissioner has already pointed out there is a fear dissident Republicans and criminal gangs already operating in the Border region will seek to exploit the post-Brexit arrangements. Meanwhile, more than 400 new customs staff will be in place on Brexit day as part of no-deal preparations as Ireland prepares for a sharp increase in customs requirements post-Brexit. The impact of any type of Brexit on tens of thousands of Irish businesses will be spelled out today by Revenue Chairman Niall Cody, who will appear before the Dáil’s Finance Committee to update TDs and Senators on Brexit preparedness. He will confirm that 400 customs staff are expected to be in place at the end of March following an accelerated recruitment process as no-deal contingency plans are put in motion. According to his opening statement to the committee, seen by the Irish Independent, the administrative burden of fulfilling customs obligations looks set to increase by more than 1,000pc. It is estimated up to 85,000 businesses could be affected – with more than half of those engaging in regular trade with the UK in 2017. After Brexit, the UK will become a ‘third country’, meaning that separate customs rules will apply to products coming from and going to the UK. Last year there were some 1.6 million import and export declarations processed through Revenue’s IT system related to trade with third countries. This could increase to as many as 20 million per year. Separately, concerns have been raised that “a gap” in payments for some Irish pensioners in the UK could emerge if the UK crashes out. A memo brought to Cabinet by Social Protection Minister Regina Doherty warns that while Ireland is well fixed to pass emergency legislation to continue payments, the UK may not be. The Irish Independent has learned that Ms Doherty briefed colleagues of a risk that “a gap” in social welfare payments may occur, although the Government is planning to ensure that doesn’t happen. Ireland and the UK have reciprocal arrangements for a range of social welfare payments, including pensions and child benefit. Both sides have agreed to maintain the status quo regardless of what happens with Brexit – but this will require legislation in the Dáil and House of Commons. More than 135,000 people living in Ireland receive the British state pension, while more than 20,000 Irish people in the UK get a pension from this State. It’s understood the UK government has agreed in principle to continue all payments, but Pensions Secretary Amber Rudd has been unable to guarantee the legislation will be passed by March 29. A source said that in this scenario the Irish government “won’t leave people stranded”. Commissioner Drew has denied that there are any plans to transfer 600 Gardai to the Border. So is this just more fairy tales from the Irish Independent? If a hard border emerges requiring controls is a fair certainty that Gardai will be deployed there. The logistics of all this needs to be properly planned for welfare of members, accommodation, food, safety clothing etc. In the event of the worst happening and Gardai are going to be deployed around the border, the GRA need to dig in urgently and make sure that members will be paid proper allowances for temporary transfers and subsistence allowances. They have a great chance to drive the nail home now. No doubt but the Dept. will try to get away with sliddery stuff as regards compensating members on the border. It is now emerging, despite past utterances, that Gardai will be patrolling border with Northern Irl. Young students from Templemore College will be used which is a rough introduction to real duty for them. It is vital that they be given supports, welfare, necessary in their young careers. I hope cronyism won’t take hold in this issue.